Another elegant photograph crafted at The Hamlet Golf and Country Club in Commack, NY; located just a few minutes from my studio and gallery. This legendary venue is the former home of The Hamlet Classic tennis tournament. The property is now under the direction of Club Corp; just one of the many prestigious club properties under their banner. Outside The Hamlet’s exquisite clubhouse is a beautiful patio overlooking a pond on the club’s golf course. Unfortunately bad weather arrived for the big day with the remnants of Hurricane Matthew spewing heavy rain and strong gusty winds. No worries. The Hamlet’s beautiful, elegant interior served as a wonderful backdrop for this extraordinary couple’s photographs. Elsewhere on this web site you will find additional wedding pictures taken at The Hamlet. It’s proximity to my studio has assured that I photograph many fine weddings here throughout the years. Though I wish you all the best of luck you must always keep bad weather in mind when you plan your wedding day. 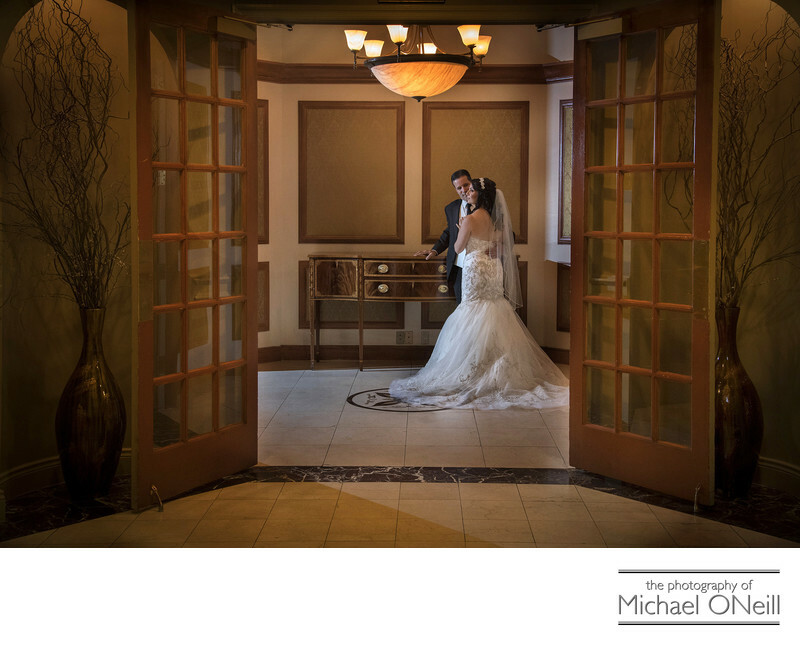 Have a "Plan B"…one that can be executed by a photographer who is familiar with your venue and has the right equipment, staff and experience to make your wedding photographs amazing no matter what Mother Nature has in store for you.